Today with technological advancement human race has achieved what few years back were impossible. Electronic products are the source of refreshment to human life. This paper’s first goal is to cover the appropriate topics in sales relevant to the study of sales performance of RB group [Walton].Basically this report has been developed from the basis of secondary data. The sources of information are sales report of the company, internet, newspaper, magazine etc. My experience also helps me to establish this report. In this report I have tried to find out the monthly sales output based on sales performance. And I also tried to find out the highest selling zone. This report contains 5 chapters. Chapter 1 contains the Introduction, Objectives, methods, limitations etc. Chapter 2 Contains the company overview, Chapter 3 Contains project part includes sales related information. Chapter 4 focused on conclusion, recommendation, Chapter 5 internship experience and bibliography. And finally the study covers the formal and informal analysis of the sales performance and also some general comments and suggestions that the company may take them as to improve the lacking and to achieve its desired goals and objectives in the future. Today with technological advancement human race has achieved what few years back were impossible. Electronics product is the source of refreshment to human life. When electronic company was first introduced their product in Bangladesh, it was an expensive and fashionable item. But now its price has also gone down considerably and more people in the society can afford it. At present there are several marketers who are offering their product in the electronic market. Among them Samsung, Butterfly, Singer, Konka, Butterfly are most widely known brand. And Walton is one of the leading electrical and electronics manufacturing company in our national market. Walton is basically a Bangladeshi brand with a national image. In Bangladesh it is targeting the niche market for their home appliance products commencing their marketing strategy as of their high quality and reasonable products. They do not do their marketing for a particular group of people; they do their marketing those who has the ability to buy their products. Since the standard of living of people in our country is going up, everybody is aware about a brand of a product and wants to buy a qualitative product for a longer period of time. Walton industry is trying to buildup a better basement with better technology. Since the real life business situation is always very complex and competitive, every business has to face the intense competition and those who can successfully operate within this critical situation can become the blue cheap. To stay and increase the pace in the business track, the perception and brand awareness is very important. This report has been made as the course requirement of Internship in BBA course. The topic for this report has been chosen by my both supervisors, organization’s supervisor Mr. Shamim all mamun, Assistant Managing Director of Walton High-tech Industries Limited and institutional supervisor Mr.Shajedul alam, senior Lecturer, Faculty of Business Administration. This report contains the sales performance between direct sales & distributor sales. Purpose of the report is to study on the sales performance between direct sales & distributor sales. This report is a informative type of report. Information used to prepared this report has been collected from formal & informal way which together provide more comprehensive information. Financial ratio is a confidential issue, so this report does not consider financial ratio related information because it’s private limited company. I have started my internship behind schedule June 23rd 2011.Only one month 22 days are not enough to complete such a report. Ø Upcoming Project: Computer LCD Monitor, Laptop, Car, two doors Refrigerator etc. Walton Hi-Tech Industries Ltd. – A sister concern of R.B Group is the pioneer of Television, Refrigerator, Freezer, Air Conditioner and Motorcycle Manufacturing Technology in Bangladesh. R. B. Group is the country’s top business Group in electrical and electronics, Automobiles, and Home appliances using the brand name WALTON. The company has been running its business with a great reputation since 1977 Establishment of Walton HIL to Manufacture Refrigerator & Freezer, Air Conditioner and Motorcycle etc. in Bangladesh is a milestone in the path of success and reputation of the brand WALTON. Walton HIL has introduced first advanced research and manufacturing technologies and equipments for household & commercial Refrigerator & Freezer, Motorcycle and Air Conditioner etc. in Bangladesh. Walton HIL is furnished with strong Research & Development (R&D) Division comprising of a large team of dedicated highly skilled engineers & technical personnel from home and abroad. Walton Hi-Tech Industries Ltd. has its own Mold & Die making section, high precision molds & dies are made by the help of the state-of-the-art VMC, CNC Wire-Cut, EDM etc. machines. The company has three Poly Urethane Foaming Plants, three Thermoforming (Vacuum forming) Units; highly equipped Metal Forming Units with Powder Coating, Nickel-Chrome Plant & Die-Casting Section, and Robot operated Injection Plastic Molding Plant, Highly equipped Test Lab, Printing & Packaging Section etc. Walton HIL always emphasizes on supreme priority in achieving customer satisfaction. The company always ensures product quality and renders the innovative latest technologies in its products. It has a complete experienced professional engineering team combined with both home and abroad to serve the valued customers. Company Name: Walton hi-tech industries ltd.
Walton’ success depends on the success of its customers. It provides its customers with its comprehensive experience and solutions so it can achieve its objectives fast and effectively. Innovation is its lifeblood, around the globe and around the clock. It turns its people’s imagination and best practices into successful technologies and products. Creativity and experience keep it at the cutting edge. It generates profitable growth to ensure sustainable success. It leverages our balanced business portfolio, its business excellence and synergies across all segments and regions. This makes it a premium investment for its shareholders. Its employees are the key to its success. It works together as a global network of knowledge and learning. Its corporate culture is defined by diversity, by open dialogue and mutual respect, and by clear goals and decisive leadership. Its ideas, technologies and activities help create a better world. It is committed to universal values, good corporate citizenship and a healthy environment. Integrity guides its conduct toward its employees, business partners and shareholders. Walton is one of the leading electrical and electronics manufacturing company in our national market. Walton electronic product is basically a Bangladeshi brand with a national image. In Bangladesh it is targeting the niche market for their home appliance products commencing their marketing strategy as of their high quality and reasonable price. They do not do their marketing for a particular group of people; they do their marketing those who has the ability to buy their product. Since the standard of living of people in our country is going up, everybody is aware about a brand of a product and wants to buy a qualitative product for a longer period of time. Thus, consumer perception and brand awareness for electronic product is now become a vital aspect when purchasing a electronic product. Walton import a big quantity of Electronics Consumer Goods, Automobiles and Industrial Raw Materials from different countries including our great country China. They also import some parts fr0m Malaysia. Our “WALTON” Brand Electronics and Electrical Home Appliances ( Color TV, Refrigerator, Air-Conditioner, Microwave Oven Etc. ), Motor Cycle, Generator have big market share in Bangladesh. RB Group of Companies Ltd, a leading electrical, electronics and automobile manufacturing and marketing company in Bangladesh, will export Walton brand refrigerators and motorcycles to Malaysia. The local company has recently signed an agreement in this connection with famous Malaysian company ‘Aget Group’ at its office at Menara Safun Tower in Kuala Lumpur. Under the agreement, in the primary stage the Malaysian company will import 0.1 million (one lakh) refrigerators and 50,000 motorcycles every year. Lee was also present in the signing ceremony. Azimpur etc. of Dhaka city. E-mail Address, Web site etc. The Corporate Culture of Walton follows conservative style. The corporate culture of Walton states that they prefer experienced and aged personal rather then young people. The overall corporate culture of the company is conservative and they follow it in their recruiting and promotion in the management sector. This conservative corporate culture has a great influence on the product image. The company doesn’t encourage a young, fresh new comers in the management and with that the so-called “Crazy ideas”. But because of this negative attitude toward the crazy idea the company is lacking in creating new dimension for the product and promotion. Achievement of sales growth through introduction of new products. Increase of sales in major cities. Today with the technological advancement human race has achieved what few years back were impossible. Electronic products are the source of refreshment to human life. At present there are several companies who are selling their product with different selling policies in the market. Among them Samsung, Butterfly, Singer, Konka, Butterfly are most widely known brand. And Walton is one of the leading electrical and electronics manufacturing company in our national market. Walton is basically a Bangladeshi brand with a national image. In Bangladesh it is targeting the niche market for their home appliance products commencing their marketing strategy as of their high quality and reasonable products. Walton industry is trying to buildup a better basement with better technology. Total dollar amount collected for goods and services provided. While payment is not necessary for recognition of sales on company financial statements, there are strict accounting guidelines stating when sales can be recognized. The basic principle is that a sale can only be recognized when the transaction is already realized, or can be quite easily realized. This means that the company should have already received a payment, or the chances of receiving a payment is high. In addition, delivery of the good or service should have taken place for the sale to be recognized. In other hand sales is the exchange of goods or services for an amount of money or its equivalent. The broad objective of this report is to discourse about sales performance of RB group. To find the sales policy. To find number of total plaza or number of total distributors. To find the installment policy. To find out the commission structure. To find out the monthly sales amount of Walton plaza.
. To find out the monthly sales amount of Walton didtributor.
. To find out the most selling product of Walton plaza. To find out the most selling product of Walton distributor. In Bangladesh RB group have total 125 plazas. Area wise they allocated their plaza In 10 zone. 6 Jassor Magura, Kustia, Jhenaidah. 8 Barishal Perojur, Bhola, Barguna. Area wise Chittagong zone becoming the highest seller zone from last three month. Last month selling capital of the chittagong zone is up to 100 million. The most selling product of Walton plaza is refrigerator. Monthly they sale almost 20000 refrigerator in Bangladesh. 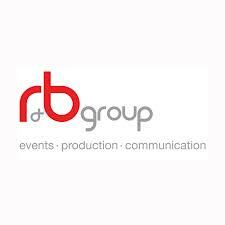 In Bangladesh RB group have total 950 Dealer. 245 dealer is exclusive & 705 is no exclusive dealer. Area wise they allocated their distributor channel In 11 zone. Area wise Dhaka zone becoming the highest seller zone from last few months. Last month selling capital of the Dhaka zone is up to 280 million. The most selling product of Walton dealer network is refrigerator. Monthly they sale almost 30000 refrigerator in Bangladesh. Quality of the product should be high with attractive features. Promotional activities should focus on brand equity and image and it should have association with lifestyles of local people. Highly skilled sales force with managerial experience is required to do quality control. After sale service and warranty should be provided. In Bangladesh Walton basically do not have any competitors who can compete directly with them according to their Brand and price. They are the only one Manufacturer in Bangladesh refrigerator market and so that they have lots of advantage. But they have many indirect competitors who are exporting from International Market, competing with them indirectly by having not the similar quality product in the market but they are offering attractive price with new features. The names of the competitors are- Samsung, Singer, Toshiba, sharp, konka, Butterfly etc. some of them are assembled in china at a cheaper cost. In Bangladesh it is targeting the mass market for their home appliance products commencing their marketing strategy as of their high quality and reasonable products. They do not do their marketing for a particular group of people; they do their marketing those who has the ability to buy their product. For that they are offering free installment and after sales service. For refrigerator they provide 5 years sales service without payment. Distribute the brochures to the customer by going door to door. Give their advertisements on the TV, Newspaper, and Billboard. Participate in DITF every year. Sometimes give mobile phones while purchasing their product. Arrange many fair in different time period. As Walton is one of the reputed company in Bangladesh, there are very little to recommend about there product or services. Most of the people like to purchase Non-frostier refrigerator. So, Walton should make Non-frostier refrigerator. Walton should provide quick delivery and sales service after selling the product. DITF is one of the important place where people come together to buy refrigerator at discount price. So, Walton can motivate their customer by giving discount price. Walton has a good possibility to get a leading position in the refrigerator Market in Bangladesh because of its brand name reputation. But there have a threat of start entering the new electronics company in the national market. To keep them leading in the electrical industry and to compete with others they have to make it well known and available toward all the people that whenever anybody would like to buy refrigerator they will only think about Walton brand. And if they can use the right promotional strategy they would be able to increase their market share. Walton Bangladesh Limited has a great potential growth in the country as a leading national brand with a national image. The consumers’ behavior towards Walton is very positive and their satisfaction level is good. They make a good place in electronics market especially in refrigerator market. The consumers of refrigerator are preferred Walton refrigerator most. The consumers believe that Walton provides high quality product with reasonable prices in case of Walton refrigerator. Consumers of refrigerator mainly get information from the TV commercial. To achieve the leading position and success, lot of improvement is required for every divisions of it. As electronics product became essential for the consumer day by day, many marketers are coming with this product in this electronic industry. So that it has also become a competitive market for Walton in spite of having a good brand image and local presence in Bangladesh. They should also take much more attention and careful action to establish its product line in the market. Also should be identify their customer’s behavior and keep the commitment with them strongly. To build a positive perception and awareness among the consumers about their product they have to be stronger in their promotional activities and should maintain a good relationship both internally and externally in their corporate life. Finally I can conclude that Walton is one of the leading companies in Bangladesh with a national image. They provide quality product with reasonable price. They provide their service to customer with carefully. 1. Walton Hi-Tech Industries Ltd.
2. R. B. Groups of Companies Ltd.